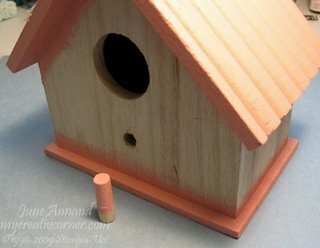 Paint a basecoat of acrylic paint on the birdhouse’s roof, bottom and post. 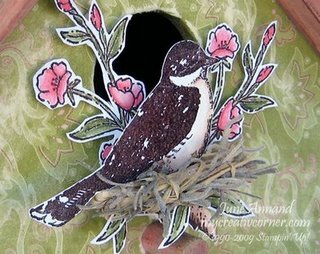 To make an easy template for cutting your patterned paper, use a sheet of printer copy paper and trim it so it's slightly larger than the face of your birdhouse. 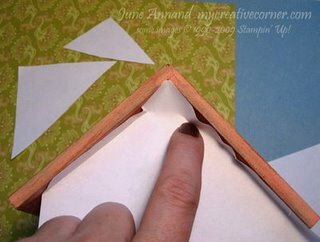 Line up one edge of the paper along an edge and bottom of the birdhouse, then simply use your finger to press a crease in the paper as shown below - you may need to trim off the bulky, excess areas so that you can make a good crease. 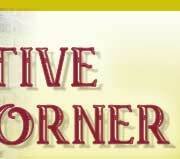 After you've creased your edges, just trim off the extra paper with scissors to make your template. 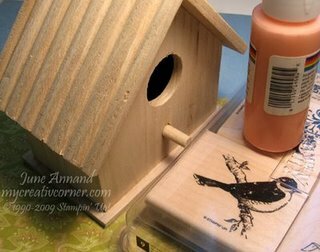 Put your template back on the birdhouse and use your finger again to lightly crease an outline for the holes in the center. Cut out the holes with scissors. 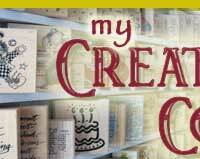 Use your template and cut out 2 pieces from your patterned paper for the front and back. Remember to cut holes for the front piece only! 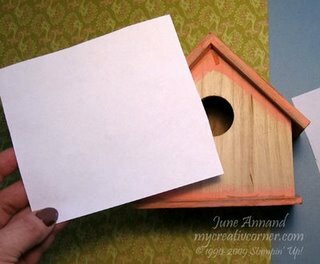 Measure and cut two rectangles from the patterned paper to fit the sides of the birdhouse. 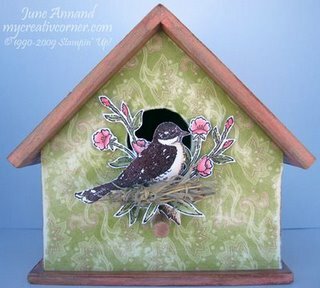 Going in sections, apply a coat of ModgePodge to the birdhouse using a small paintbrush, then lay the appropriate piece of patterned paper on it. Press around the paper to make good contact with the glue. 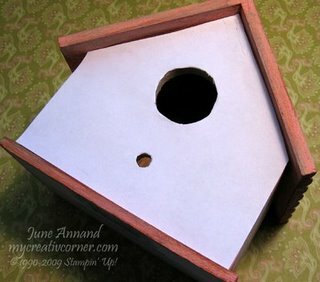 When all sides of the paper are dry on the birdhouse, you can use a sanding block to distress the paper. 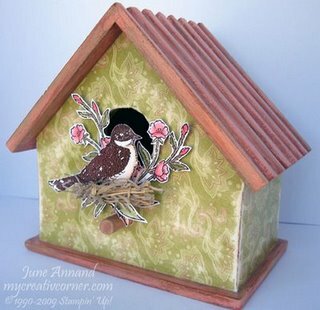 Lastly, apply a top coat of ModgePodge over the entire birdhouse. There you have it! 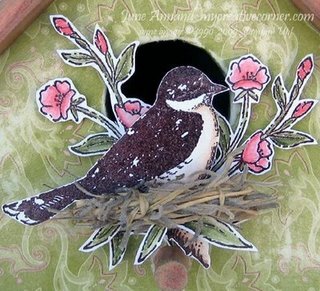 I hope you are inspired to create your own birdhouse today!